Did you interested to make some extra money through cryptocurrency mining. Maybe you heard anywhere that some people make a good fortune with the help of cryptocurrency mining. Or maybe you are a big fan of cryptocurrency. It's true that through cryptocurrency mining you can make a good amount of profit. But, How to mine cryptocurrency in 2019 ? is it costly? I noticed that most people don't know anything about crypto mining. Well, In this article, I will explain you some important facts and knowledge about cryptocurrency mining. So I would like to request you that read this article carefully. I am sure that you came to this article that means you interested in cryptocurrency and the blockchain technology. A blockchain has distributed database which is used to maintain a list of records. The block-chain serves to confirm transactions to the rest of the network as having taken place. Mining is mainly designed to be resource-intensive and difficult so that the number of blocks found each day by miners remains steady. Cryptocurrency mining is simply defined as creating a new coin with your computer. Making money through cryptocurrency mining is not so easy. But, If you understand the process then it will be easy for you. You need a Mining Pool and a powerful computer to mine any cryptocurrency. You can find various mining pool for different cryptocurrencies. After choosing your mining pool company, you need a wallet to store your cryptocurrency. I noticed most people asked this question that, is cryptocurrency mining profitable? Should you invest in mining set-up? Well, It depends on various facts. My experience with cryptocurrency in the past years and I learned that you can't make a huge profit with cheaper mining pool. You can make only $1 to $5 in a day with a cheap mining pool. An Expensive mining pool is best for making money. But to run a heavy mining pool, you need to high electric power. Most people make a good amount of passive income through mining the popular crryptocurrency like bitcoin, Ethereum, Litecoin etc. simply because they have a heavy mining pool. 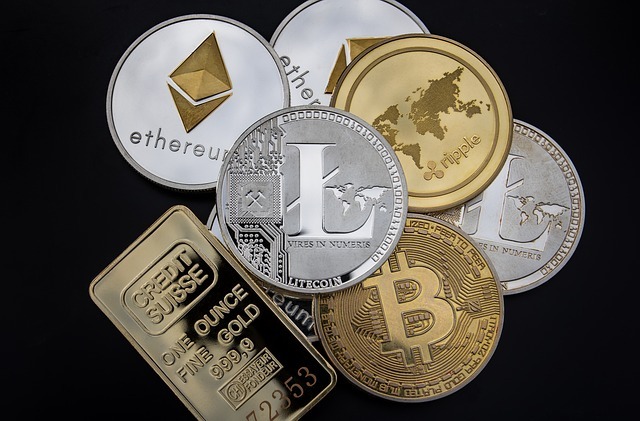 If you want some cryptocurrency for example- bitcoin and if you want to collect some cryptocurrency to hold for future then cryptocurrency mining is the best option for you. don't miss out the cryptocurrency opportunities! It seems like cryptocurrency is the future of finance. I also believe that cryptocurrency will be more in future. Bitcoin has been dominant in the cryptocurrency field for a long time. More people want to make money through cryptocurrency. If you compare mining vs investment, then you will find that mining is low risk as compared to investment.